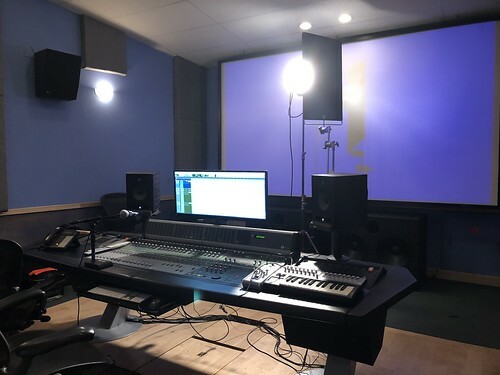 I spent the morning recording the lectures in a studio that mainly does voice work for video games), then several more hours with a film crew shooting video that’ll go into a set of promotional videos and advertisements for the class. Some of it involved responding to questions that’ll be used in a series of advertisements. 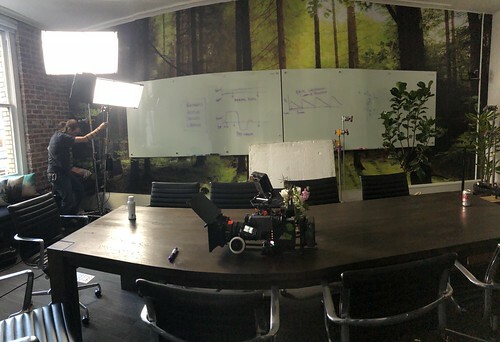 We then decamped from the studio, and went over to the startup, so they could get some footage of me talking to people, looking thoughtful underneath a logo of the company, and so on. I think one of the photographers also caught me napping at one point. We shall see. It was an interesting experience. Of course I’ve given lots of talks about rest, but it’s still interesting thinking about how to organize your material for listeners you’ll never interact with, who are looking for things they can put to use in their own lives. 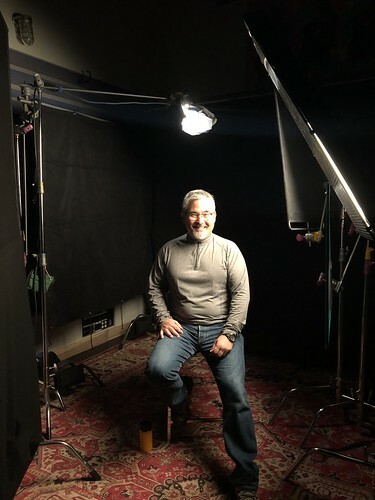 I’ve also done a very little video or TV work, and lots of radio interviews, but this was the first time I’ve done any studio recording, and the first time I’ve worked with a professional camera crew. 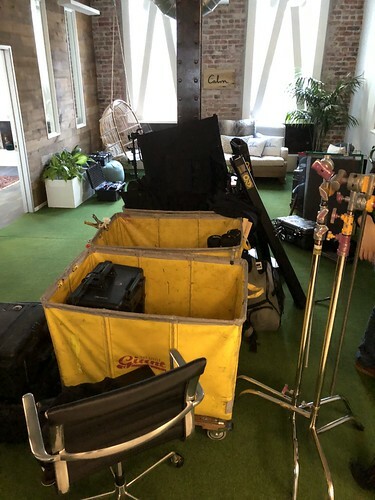 For one thing, I was stunned at just how much stuff a professional crew uses. Even in our iPhone-GoPro era, people who do this for a living wrangle a lot of equipment. So this was no record-over-Skype kind of deal! Not that they always succeeded, of course. 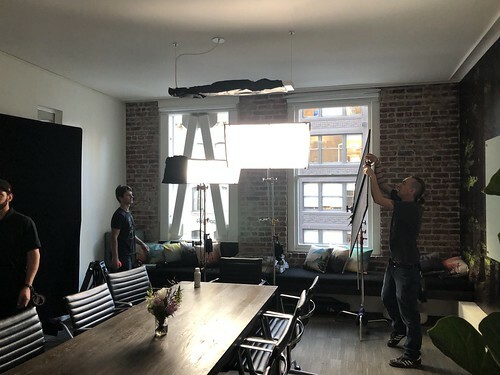 And there’s just an enormous amount of artifice that goes into creating natural-looking scenes: the crew might spend 90 minutes setting up cameras for 3 minutes of me talking, and there was endless adjustment of lights, mics, and so on. 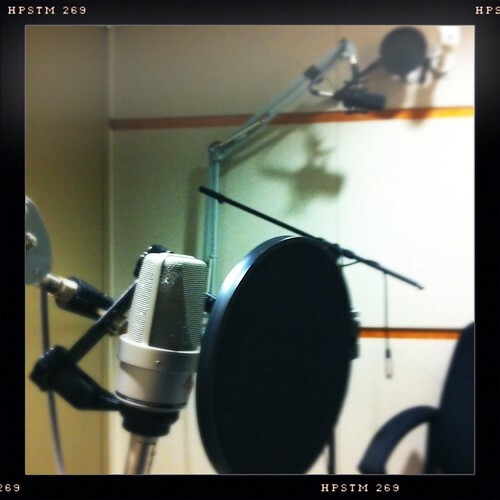 Anyway, it was an illuminating day, and I look forward to the finished product becoming available. As a place that makes some outstanding headsets for office use, Jabra is really interested in issues of focus and concentration in business environments, so it turned out to be a great place to talk about deliberate rest and my earlier work on contemplative computing. 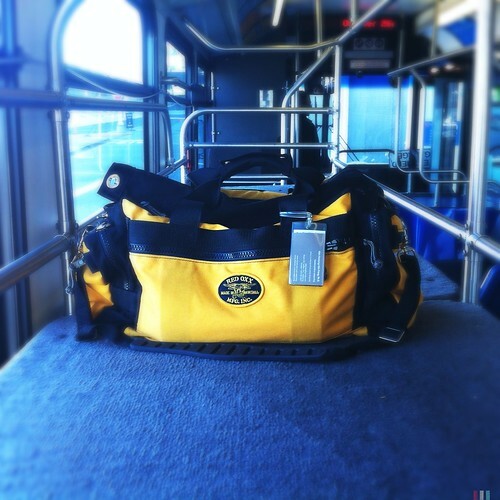 (I’ll confess I have no fewer than four pair of Jabra headphones– two sets that I’ve used for everyday listening, a pair of their Bluetooth earbuds, and a set of noise-canceling office headphones. They’re all awesome.) 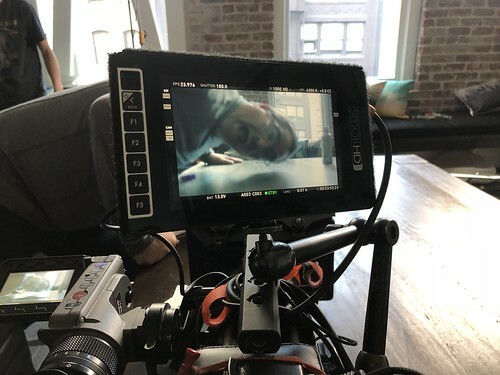 And of course they did a great job with the video! 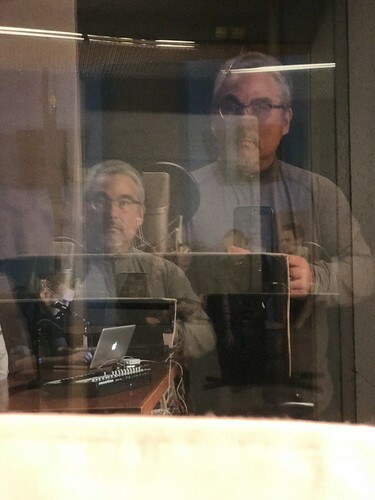 A few months ago I was doing an Al Jazeera show, and during the sound check beforehand one of the other guests described me as “the silver gent.” I suppose I see what he meant. Mentally I don’t feel like i’ve aged in the last twenty years (I feel like fundamentally the same person I was when I was a postdoc, or first married), but I have gotten more silver. And anyone who meets me on the road is likely to see me wearing some variation of those clothes– the black shirt and black cashmere jacket, and jeans. What can I say; one of my professors extolled the virtues of wearing black on the road, and I still dress that way out of respect for her. Sometimes you write something and forget about it for years, only to rediscover it and think, Hey, this isn’t bad. (More common is rediscovering something and think, Boy, this is terrible. What was I thinking?) 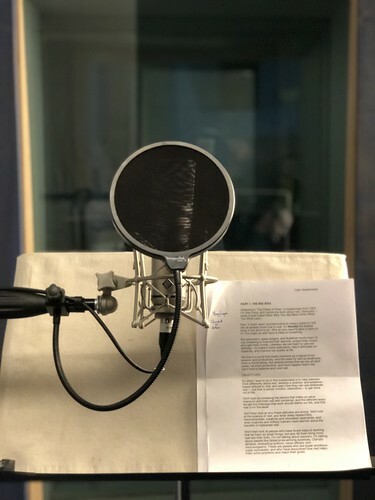 In the course of chasing down some broken links, I came across a series of posts about the business of speaking: about making the transition from academic to business speaking, working with an agent, building talks, and the logistics of travel and delivery. My session on Rest (or as it was called in the program, REST!!!) at DLD17 is now up online. 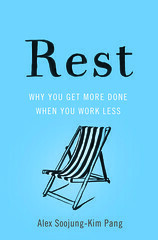 Arianna Huffington and I talk about deliberate rest, multitasking, and more. Or, to put it another way, Arianna is onstage, and I happen to be there too. Still hard for me to process. The audio doesn’t sync up perfectly (at least in the 15 times I’ve watched and reloaded it! ), but otherwise, hey. It’s cool. Not to sound too much like a fanboy, but it was fabulous to spend time with her. She’s really nice in person, and was as generous with her time at the conference as she was in her New York Times review and Lifehacker shout-out. I met a lot of people who I wouldn’t have otherwise, which is always a good moment at a conference. And DLD is an extraordinary event. It’s one of the few conferences I’ve been to where I can genuinely say everyone was interesting, and I never felt like I had to disentangle myself from a conversation that felt like it was going nowhere with someone I didn’t want to be around. For someone who has to make a conscious effort at small talk, this is a huge thing, and something I really appreciated about the conference. Not to mention the fact that Munich is wonderful, and the venue was awesome (despite being a confusing Inception-style combination of three different buildings joined together by a series of catwalks and open spaces designed by M. C. Escher). The American Library Association’s midwinter conference is going to be in Atlanta from January 20-24. 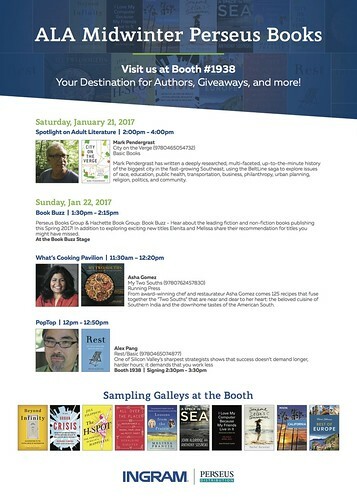 Naturally ALA attracts lots of book publishers (as well as makers of shelves, desks, and everything else you can imagine going into a library), and one of the things they’ll sometimes do is bring authors to talk about their latest books. You can click on the image to see the full-sized version and read the details. I’ll be speaking at the PopTop from 12:00 to 12:50. 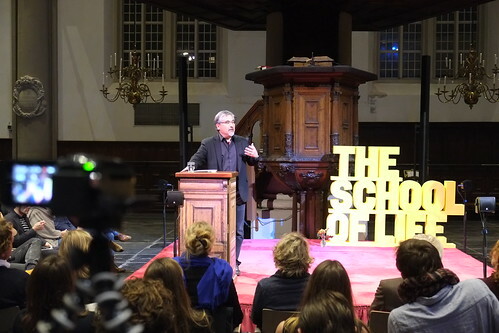 On Wednesday I gave my talk at the Westerkerk in Amsterdam, sponsored by the School of Life Amsterdam. I expected that the Westerkerk would be a cool venue, and it didn’t disappoint. It’s a giant church, made more impressive by the fact that it dates from the seventeenth century, and is just beautifully proportioned, constructed and maintained. And it turned out to be the perfect place to talk about the place of rest in busy lives: its congregation was Protestant merchants who grew wealthy off trade, but they saw fit to place in the middle of their busy city a monument to prayer and contemplation and rest. I’m spending this weekend with family and dogs, and starting to get things together for my first REST-related trip abroad. I’m going to be in London to promote the Penguin Life edition of Rest, then will go to Amsterdam for the release of the Dutch edition of Rest and a talk sponsored by The School of Life. I’ll be blogging the details of the trip on my personal blog, and if time allows may also post some to Twitter and Flickr; though I prefer to save up my experiences until the end of the day and write about them, rather than try to document them in real time. Speaking at the Westerkerk: Come for the rest, stay for the magnificent 17th century architecture! I’m going to be going to Amsterdam in November to promote the Dutch edition of my new book REST, and one of the events I’ll do is a talk organized by the School of Life on November 23. 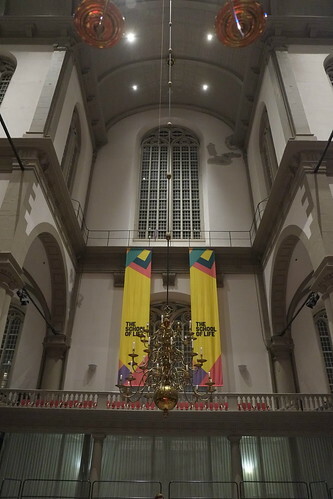 I was looking at the logistical details, and it turns out that the evening will be held at the Westerkerk, a 17th-century Protestant church that’s one of the largest in the Netherlands and looks absolutely spectacular (and has a great view of the city). 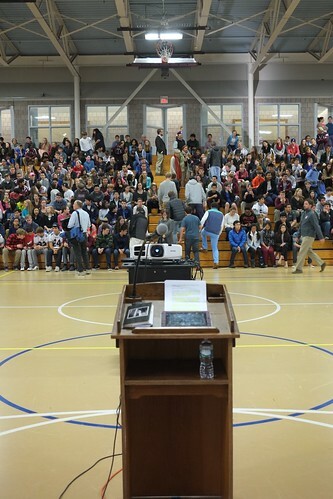 When I was younger I did a lot of choral singing at churches, so I’m more familiar performing in this kind of environment than your average non-religious person. Indeed, I find myself writing about subjects that aren’t precisely religious in nature, but do overlap with religious issues, or are explored by theologians and ministers. 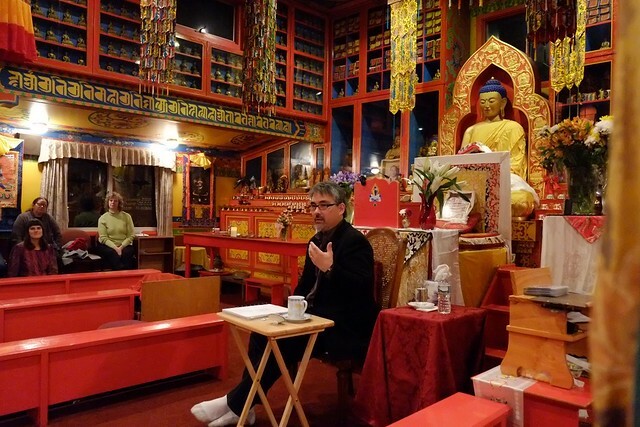 And one of my favorite contemplative computing talks took place at a Buddhist monastery in upstate New York. Nothing like an audience of thousands of divinities to call out your A game! So perhaps speaking the Westerkerk will offer a chance to reflect a bit on the religious or spiritual dimensions of rest (what a rich topic! ), and at least note the degree to which rest has been seen not just as a respite or idleness, but as an opportunity for restoration and common with the divine– turning it from the absence of work into a time with its own purpose, a purpose that we often forget in our more secular world. Too often we see rest as either disposable (which it’s not), or just as a negative space defined by the absence of work– which it shouldn’t be. Thinking of it this way impoverishes rest, and reduces our appreciation of its potential and value to us. Arguably, observance of the Sabbath provided a framework for experiencing rest as valuable, and the retreat of religious observance has left us in need of a new foundation for making sense of rest in our lives. The Dutch translation of REST will be out that week, so I’ll be in the Netherlands to support the book. I’m one of two speakers; the other will be Ysbrand van der Werf, a neuroscientist at the Spinoza Institute who has a new book coming out on sleep. I’ve never been to Amsterdam, except to change planes at Schipol Airport, so this will be fun! 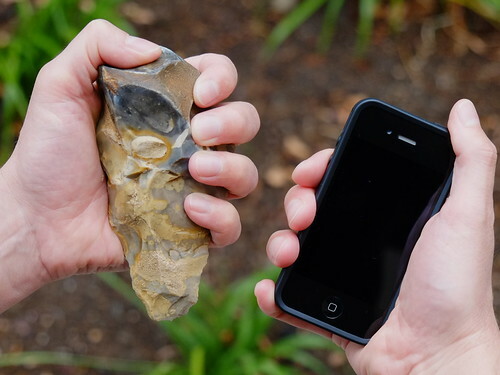 We all know what the device on the right is; the one on the left is a million year-old hand axe. I put these together to make the point that while we sometimes think that technologies have an alienating or dehumanizing affect on us, the opposite is actually the case. Humans have coevolved with our technologies. We and our ancestors have never lived in a world without technologies, and we wouldn’t be able to exist without them. Not only that, over the years we’ve become really good at using them to extend our physical abilities, augment our cognitive abilities, enrich our extended minds (as Andy Clark puts it)—and to enjoy doing so. 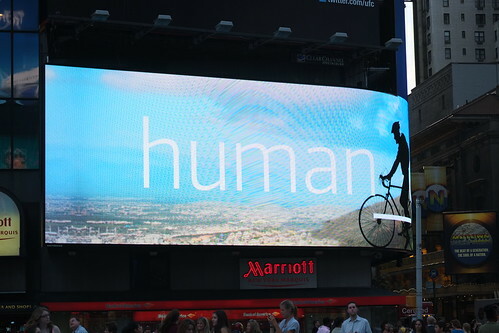 One reason today’s technologies can be so good at capturing attention, and why the stakes in being constantly connected turn out to be high, is that they’re tapping into a profound human ability, and a profoundly humanizing one: this talent for using technologies so well they feel like they’re extensions of us is one of the defining traits of our species. Some of them are designed to perform like weapons of mass distraction, and our tools for capturing and processing attention are getting better all the time; others, like email, are addicting mainly for social and organizational reasons. 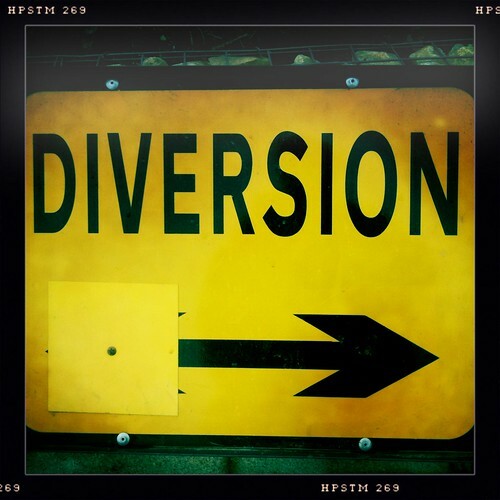 So far, critics like Nicholas Carr and Sherry Turkle have mainly been focused on how device and connectivity are cleverly designed to distract us, and more generally erode our ability to focus. That can mean being more prone to distraction when trying to complete a specific task, like having cat videos distracting you from an article you need to read for work. At another level, it can mean eroding your capacity for focus, which like willpower can be depleted, and get in the way of your ability to finish a big task, like a dissertation. It’s easy to think that this is a new problem, and that the world used to be a less distracting place. But that would be incorrect. The history of developing tools and practices and spaces to promote our ability to control our mental states—to concentrate on a problem, to clear our minds, even relax our conscious attention—goes back to ancient times. The fact that some of the most popular tools for learning to become aware of the state of our minds, and to move from one state to another, are very old—which tells us that problems with distraction are, too. 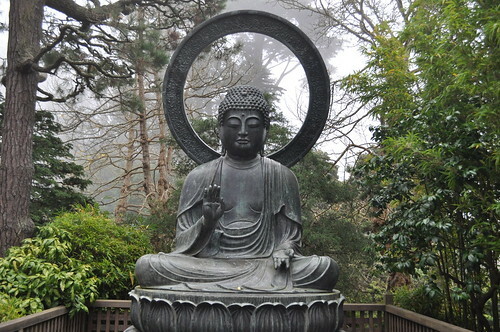 Now, we usually talk about mindfulness and meditation, not control of mental states. Indeed, I wrote a book about how technologies can distract us, and how we can learn to use them to be more focused and mindful. But in the course of writing my new book, Rest, I realized that there was another side to our engagement with devices. They don’t just distract us, or affect our focus. They can also do a good job eroding our capacity for another, less well-appreciated mental state: mind-wandering. This is not as well-known as focus (and it’s absolutely not the same as distraction), and in our lives we generally don’t feel it’s something worth defending as urgently. But psychologists are finding that mind-wandering isn’t just a kind of energy-saving mode for the brain: during mind-wandering we play our future scenarios, ruminate over past events, and run through possible solutions to problems that we’ve been working on—all without conscious effort, or our being aware that we’re doing it. 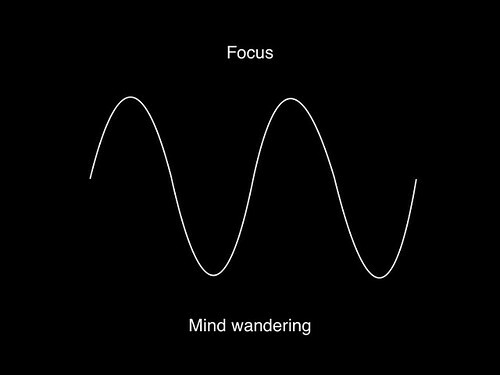 There even seems to be a connection between focus and mind-wandering: the more time we spend doing things that allow our minds to relax and unfocus, the deeper our capacity for intense concentration. Shifting between these two states also helps us to be more creative. We’ve all had the experience of working hard on a problem, then having the answer appear when we’re in line at the store or out on a walk. In my new book, I argue that creative people design their schedules and habits to support both periods of intense focus, and mind-wandering. Being aware of our mental states, learning to control them, and understanding our own minds and work well enough to know which state we need to be in, is a great challenge. Most creative figures struggle for years to figure it out. 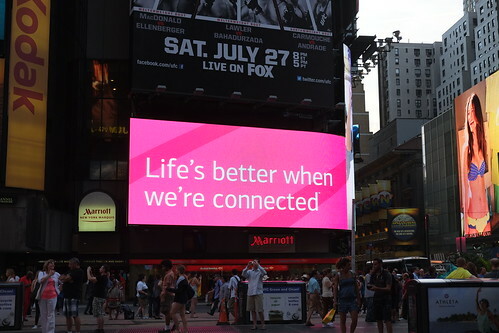 So how does this relate to technology and connectivity? Learning to use tools so well that they become extensions of our minds is important for awakening this sense that we can control “the contents of our consciousness,” as William James put it. It’s why children who have time to play seem to have better focus in class. It’s why a surprising number of world-class scientists, engineers, and writers are also rock-climbers, sailors, serious musicians, or artists. It’s why in Mihalyi Csikszentmihalyi’s book Flow (if you don’t know it, read these posts) many activities in which people find that optimal state involve using technologies intimately. So can we design to better support learning how to control our mental states, to drop into intense concentration or mind-wandering? I’m optimistic that we can. There’s a long history of humans being confronted with new forms of distraction, then developing new techniques to deal with them. In debates about the long-term effect of digital technologies on our minds, attention spans, or sociability, people sometimes point out that Plato complained about writing competing with speech and eroding memory, and that people worried about the impact of the printing press, the telegraph, and newspaper; and the implication is that these complaints fade over time, and people simply adjust. That’s not accurate. 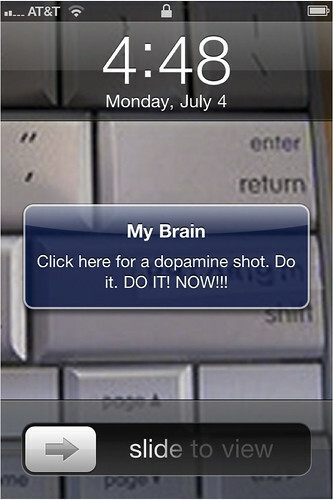 People develop techniques to deal with new distractions. We don’t just adapt. We deliberately craft new practices. Discovering the pleasures of focus, the virtues of solitude, the value of mind-wandering is something most very creative people do as adults, and I think our devices are in a sort of adolescence: we love the easy socialbility, and almost are ready to discover the value of being connected to our work, to engaging problems, and to our minds as well. Designing to support these forms of connection, while recognizing that the process of learning how to use and direct our own mental states is a lifelong challenge, is difficult, but possible (“ease of use” doesn’t mean “an easy life”); and learning to do it will let us help people be not just better connected but better humans as well.